Swimming and Diving Accidents | Miami Pool Injury Lawyers Gerson & Schwartz, P.A. 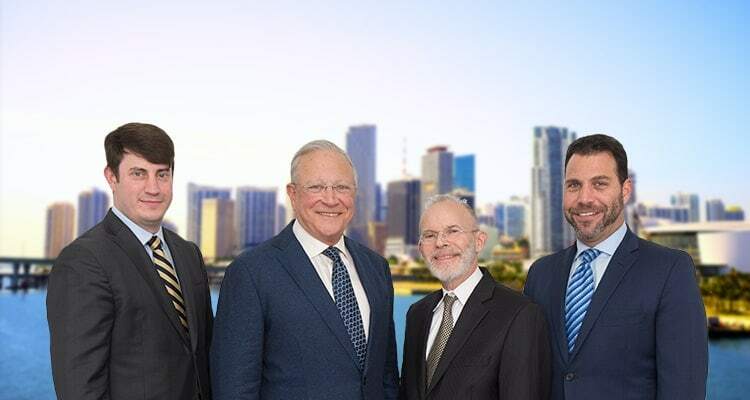 Contact Sunrise, Florida Personal Injury Lawyer Gerson & Schwartz, P.A. Aquatic activities are supposed to be fun for children and adults. When the weather is warm, everyone likes to take a dip in hotel pools, residential pools, lakes, beaches and rivers to cool down. There are so many places in South Florida that enable us to relax and have fun in the water, but not enough standards to keep us save from danger. Too often hidden dangers, inadequate warnings, and lack of supervision unfortunately result in devastating injuries or death. According to the Centers for Disease Control and Prevention, ten people die daily from unintentional drowning. Of these, roughly two are children under the age of fifteen. Several studies also indicate that providing warnings does not deter children who have a history of diving into pools and therefore, do not appreciate the harm involved. In fact, 6,500 adolescents are brought to the hospital per year because of diving related injuries. Landowners and recreation operators have a legal duty to maintain their recreational environments in a reasonably safe condition. Where there are hidden dangers, such as strong tides, undercurrents, underwater obstructions, unsafe water depth for diving, visitors are at risk for harms they don’t know exist, haven’t been warned about, or simply endangered by careless supervision and enforcement of simple safety measures. Other factors that can contribute to injuries during aquatic activities include a lack of supervision, ineffective barriers, no pool cover, inadequate signs, alcohol, diving, and poor construction of pools. Studies show that nine out of ten diving accidents occurred where there was no lifeguard on duty. Many sports related spinal cord and brain injuries are caused by diving into swimming pools in depths of five feet or less. Injury often occurs with head impact on the pool bottom when the water is not very deep. 80% of all diving accidents occurred in shallow water of four feet or less. Research has indicated that diving boards are not to be blamed, as less than 10% of all diving accidents involve a diving board. Drowning can cause brain damage, which can result in memory loss and learning disabilities. Drowning can also lead to paralysis or spinal injury. When the sun is out and the heat is sweltering, we all want to jump into cool water and enjoy ourselves. The law firm of Gerson & Schwartz PA encourages you to unwind with the occasional recreational aquatic activity, but we reminds you to do so responsibly and safely. Pay attention to your surroundings and make sure to supervise children, especially those who have not yet learned how to swim. Over the years our legal professionals have encountered all these dangerous conditions which have injured clients. We have used tort law, product liability law and premises liability law to recover compensation for these clients. Understanding the perils of recreational aquatics and the marine environment have led us to identify expert witnesses and the historical evidence of past experience unknown to our clients but well known to business interests. We have represented victims and their families for all the harms including drowning and quadriplegia. Our clients’ injuries occurred in some of the most popular places to have fun in the sun in South Florida, including Miami Dade, Broward, Palm Beach, and Boca. Generally, you will have a legal claim if we can prove that the owner of the pool or place with recreational aquatics was negligent, that this negligence caused your injury, and that monetary damages have arisen because of your injury. We will provide you with the information you need to decide whether you want to pursue a legal claim or not. Our experienced attorneys will provide you with competent legal representation and obtain the monetary compensation you deserve. If you or a loved one has been injured in a swimming pool accident or diving accident contact our law firm for a free consultation.